Bow Tie Cinemas (formerly Clearview Cinemas before an acquisition in 2013) is showing a ton of free summer movies for kids! If you're in New York, New Jersey, Maryland, Connecticut, or Virginia, you won't want to miss out on sending your kids to the movies for free this summer. Summer of 2018's Bow Tie Cinemas free summer movie program is called Summer Kids Series 2018. Keep reading for a list of the free movies they're showing this year plus a complete list of the theaters that are participating. You can start seeing the free summer movies at Bow Tie Cinemas on June 19, and they'll wrap up on August 15. The free summer movies at Bow Tie Cinemas are shown each week during that time frame, on Tuesday and Wednesday morning at 10:00 AM. You can find the full schedule for these free summer movies on the Bow Tie Cinemas website. Also on that page is a list of theater locations with links to their addresses and phone numbers. The movies listed above are shown at 12 different Bow Tie Cinemas theaters this summer. 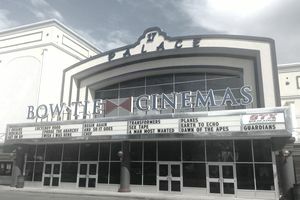 Although Bow Tie Cinemas has theaters in six states, they're only offering this free summer movie deal in four locations, excluding Colorado and Maryland but including New York, New Jersey, Virginia, and Connecticut. Remember that these theaters are reserving their schedules between June 19 and August 15 in order to show the movies listed above, but they do still have regular scheduling for the other days in those months. If you need directions to these theaters, a list of features offered by the theaters (like if they support assisted listening devices), or the phone numbers to contact them, be sure to click through the Bow Tie Cinemas website. Seating is first-come, first serve so arrive early to secure your seat. Seating starts an hour before the film starts, at 9:00 AM.